Mike Michalowicz is a champion of profitability, on a mission to eradicate entrepreneurial poverty. 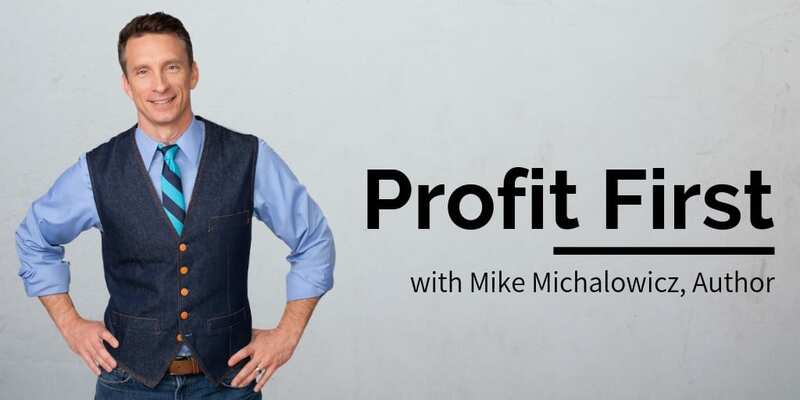 Mike is the author of Profit First, Transform Your Business from a Cash-Eating Monster to a Money-Making Machine. He helps business owners realize their need for making a profit and design a practical, working system that doesn’t take ironman willpower to accomplish. 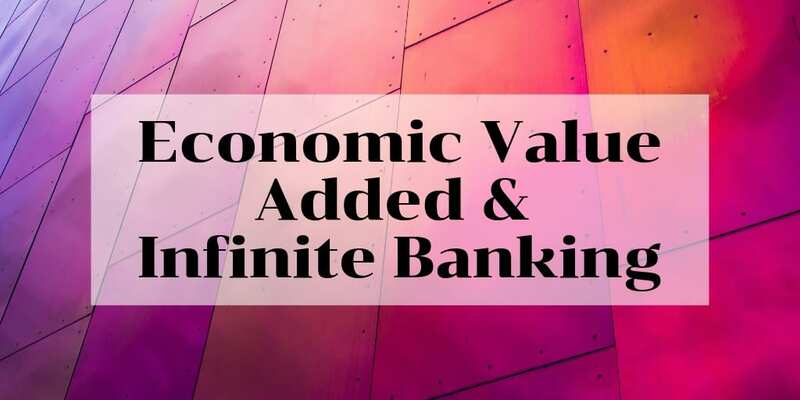 His Profit First System has improved tens of thousands of businesses owners, saving them from the “doom spiral” to achieve instant profitability. Building a life and business you love means you have to be making money. More specifically, you need to be making a profit, keeping more of the money you make in your business. It doesn’t matter how much is coming in the front door if it’s all draining right out the back door. Many business owners wake up to find themselves as slaves to their business. Rather than improving their lives and fulfilling their dreams, their business has grown into a beast with an insatiable appetite for cash. The demand to spend more to keep things running requires the next sale, just to stay afloat. Instead of working because they want to, they chase sales to pacify the business and its ride-along companion of anxiety. Welcome to a business out of control. Eight out of ten businesses fail because they lack profitability. All the income is gobbled up in expenses, and there’s no cold hard cash in the coffers at the end of the month. Often the business owner isn’t paying themselves at all, there are no reserves, and hello reactive mode when it comes to tax season. And this problem tends to worsen, not self-correct, the larger the business grows. In this episode of The Money Advantage podcast, we interview Mike Michalowicz. While business panic and frustration might be your current chapter, it doesn’t have to be the end of the story. You can improve the health and sustainability of your business overnight by focusing in on profitability. And it isn’t as painful as you might think! As crucial as keeping more of the money you make is, it’s just one step in a bigger journey. 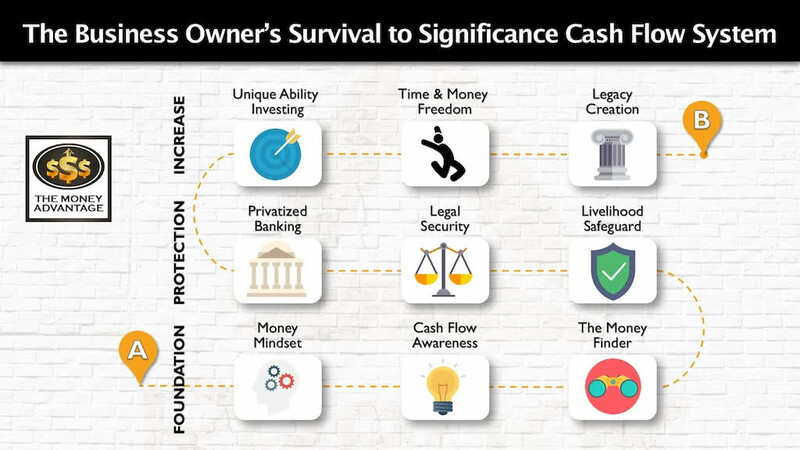 That’s why we have created the 3-step Business Owner’s Cash Flow System, your roadmap to take you from just surviving, to a life of significance, and time and money freedom. The first step is keeping more of the money you make by fixing money leaks, becoming more efficient and profitable. Then, you’ll protect your money with insurance and legal protection, and Privatized Banking. Finally, you’ll put your money to work, increasing your income with cash-flowing assets. Business profitability intersects the roadmap in two places. First, it’s part of The Money Finder step in Stage 1, where you fix the money leaks that are siphoning off your cash flow. Secondly, it’s part of Investing in Stage 3, the part of the process where you craft your business into a self-sustaining, cash-flow producing asset that’s one of your very best investments. 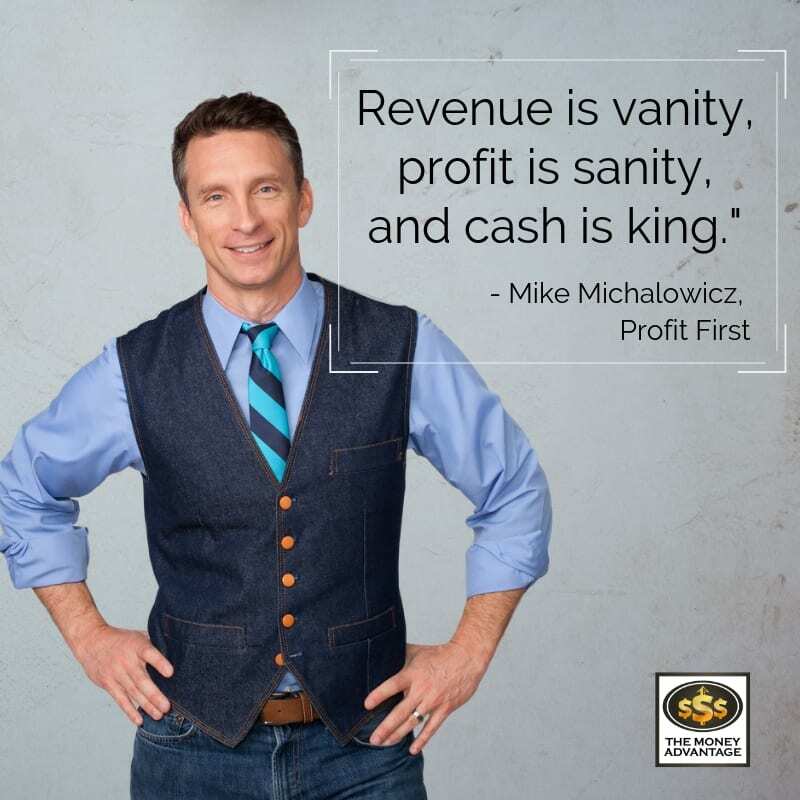 Mike Michalowicz is the entrepreneur behind three multi-million-dollar companies and is the author of Profit First, The Pumpkin Plan, and what BusinessWeek deemed the entrepreneur’s cult classic, The Toilet Paper Entrepreneur. Mike Michalowicz is a former small business columnist for The Wall Street Journal and the former business makeover specialist on MSNBC. Today, Mike travels the world as an entrepreneurial advocate, speaking to groups just like The Money Advantage community. 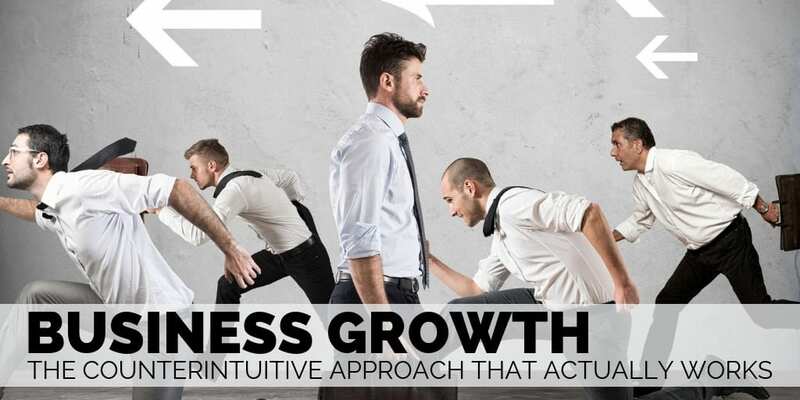 He is globally recognized as the guys who “challenges outdated business beliefs” and teaches us what to do about it. The struggles and failures that opened Mike’s eyes to the need for profitability. The danger in defining entrepreneurship in terms of hustle, grind, and workaholism. Why business owners and entrepreneurs should think of themselves as shareholders. 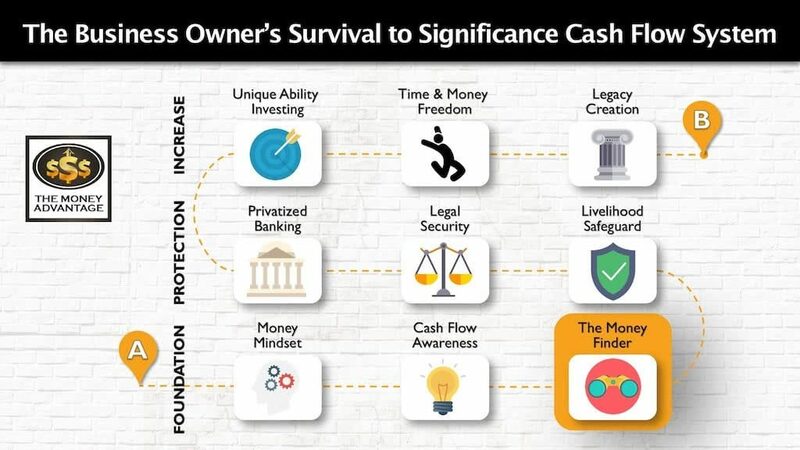 How to shift from business slave to instant profitability in a business that is a cash-flow machine. How the standard accounting formula puts profit last, and how to flip the formula to change behavior. The five basic accounts in the Profit First System: Income, Profit, Owners Comp, Tax, and Operating Expenses. How the instant assessment helps you discover your financial health compared to the most financially elite companies. Why you, as the business owner, need to be paid as your best employee. How to devise a rollout plan to slowly and incrementally improve profitability and financial health. Why you need profit, so you have the stability first to be an extraordinary contributor. Your clients want you to be profitable so you can be reliable and dependable to deliver on your promises. Profit First works with a company of any size. The key is to start sooner and start slowly. To get started with the Profit First system, first, set up a separate bank account and allocate 1% to profit. Next, get the book Profit First today. Here, you can even try before you buy. Download the first two chapters free to find out if you resonate first. Work with (or even become) a certified Profit First Professional. These are accountants, bookkeepers, and coaches trained in using and implementing the Profit First system. Connect with Mike Michalowicz, learn more, or get his other books. And, just because we all know his last name is a little challenging to say and spell, here’s an easy site to remember: mikemotorbike.com. In the Profit First System, one of the most important first steps is to shrink your operating expenses. I mentioned before that this doesn’t have to be painful. In fact, if you’re like most of our clients at The Money Advantage, you probably have $10K – $50K of your revenue going up in smoke, without benefiting you at all. Correcting these money leaks is a matter of changing a few simple strategies. It’s not difficult or time-consuming. However, the result could be a pivotal moment where your business finally starts benefiting your life. Without you having to make painful slashes to your spending. Without you working any harder. And without adding in more risk. See, you should have proactive tax strategies to ensure you pay the minimum legal tax this year and every year going forward. Your debt payoff strategy should be increasing your cash flow, not working against you and depleting cash flow and capital in your control. And you should be building your business reserves in a way that generates income for you today. The bad news is that if these things aren’t true for you, you’re not keeping as much of the money you make as you should be. The good news is that it means you’re just one step away from enjoying the fruit of your labor with higher profits immediately. To find out how to tighten up your efficiency, boost profitability, and keep more of the money you’re making, book a Strategy Call. 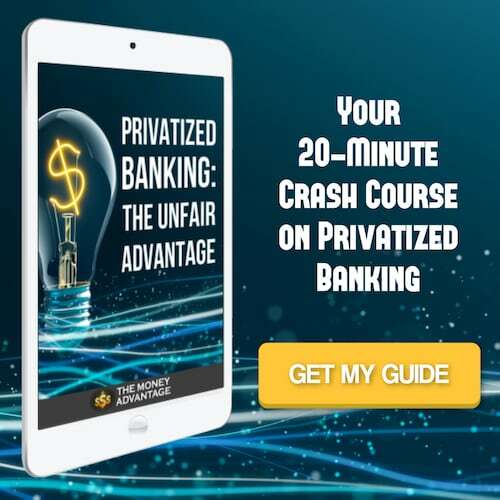 You’ll find out the one thing that you need to be doing right now to increase your profitability and accelerate your path to financial freedom. By the way, did I mention that the tax strategist on our team is a Profit First Professional, experienced in helping clients set up and implement Profit First? 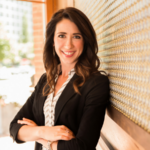 When you become a client with The Money Advantage, you get access to our team of experts to help you put your profit-maximizing strategies into action!